This is one of the less known stories from the great epic. This story tells you about the five golden arrows that had the power to change the very course of the war. Had things happened as Duryodhana planned, the Kauravas would have won the war. But adharma can never win, can it? When the war was being waged between the Pandavas and the Kauravas, Duryodhana felt that he was sure to face defeat. He knew that with stalwarts like Bhishma and Drona on his side, he and his army had to win. So he approached Lord Bhishma one night and accused him of not fighting with all his might. He knew that Bhishma was always partial towards the Pandavas. But Bhishma was not one to listen to insults like this. His pride hurt, he immediately took up five golden arrows, closed his eyes and chanted some mantras. To his surprise, Duryodhana saw something that looked life force exit Bheeshma and enter the arrows. The arrows looked menacing. 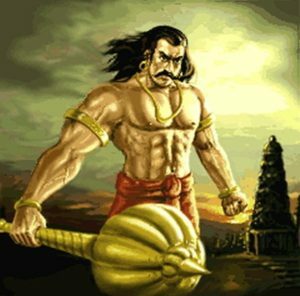 When Duryodhana, asked about it, Bheeshma opened his eyes and said weakly, “I have put my life force, the powers I have obtained so far into these arrows. 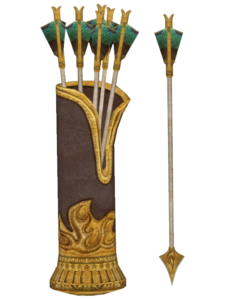 With these five golden arrows, I shall kill the five Pandavas in tomorrow’s battle. There is no escape from these arrows.” Duryodhana was pleased to hear these words. However, the paranoid man he was, he took the arrows to keep them in his custody. 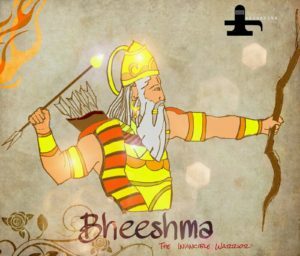 He did not trust Bheeshma to keep them safely till the next day. He felt that he might lose them or give them away to the Pandavas out of his love for them. Life works in mysterious ways, doesn’t it? Had Duryodhana trusted Bheeshma to keep those arrows safely, perhaps, the next day’s battle would have ended disastrously for the Pandavas. But it was not to be. Lord Krishna came to know through his spies what had transpired. 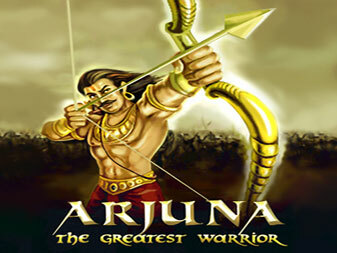 He listened with wonder how Duryodhana took the arrows with him to his camp. Krishna had a smile on his smile as the spy ended his story. Duryodhana gasped for words as he remembered the occasion that had necessitated this boon. Once the Pandavas were living in the forest. Duryodhana set up an opulent camp on the other side of the pond by which his cousins were living. The ever quarrelsome Duryodhana picked a fight with a Gandharva (a heavenly being) who had come to take bath in the pond The Gandharva captured him. At the request of his eldest brother, Yudhishtir, Arjuna saved Duryodhana. Ashamed at his predicament, Durodhana offered Arjuna a boon. Arjuna said he would ask for the boon later. Durodhana knew that Pitamah Bheeshma was telling the truth. He walked back to this camp, with his head bowed down, defeated. 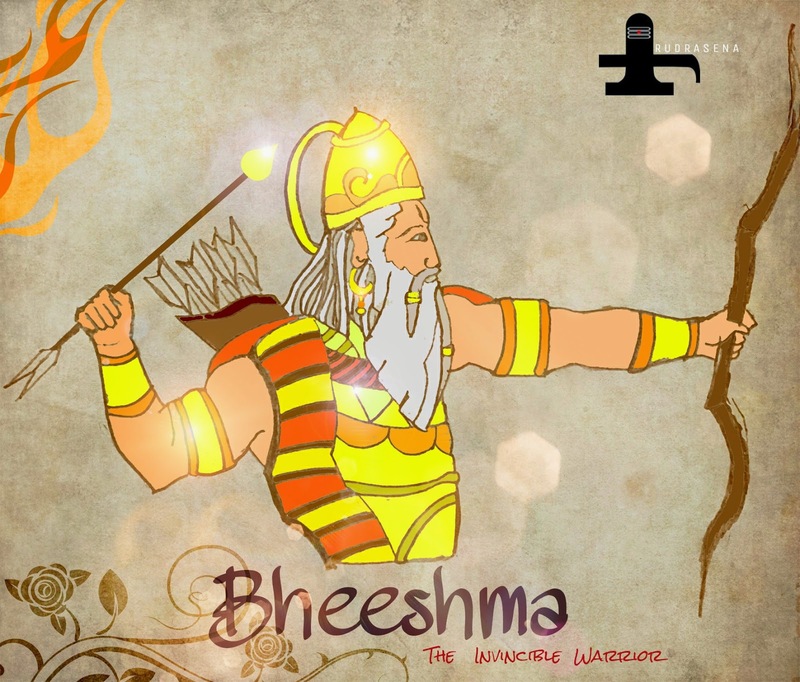 Follow this space for more stories from the Mahabharatha!